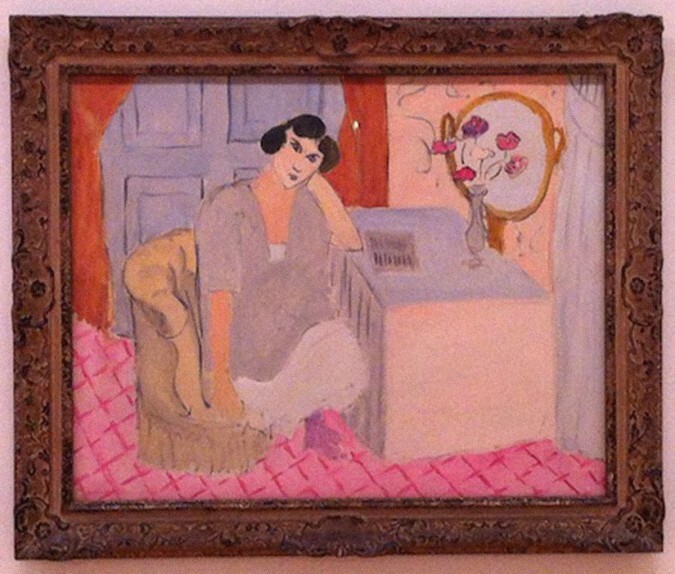 The image on left is of Henri Matisse’s La liseuse distraite (The Inattentive Reader), 1919, painted by the artist in a hotel in Nice. Bequeathed by Montague Shearman to Tate through the Contemporary Art Society in 1940, this painting is currently on display at Tate Liverpool as part of the museum’s DLA Piper Series: Constellations. The text that follows is an excerpt of Marcelle Sauvageot’s Commentaire, 1933. Translated by Christine Schwartz Hartley and Anna Moschovakis from its original French to the English as a Commentary [A Tale], the novel, which was written just before the author’s passing at the age of 34, was published by Ugly Duckling Presse in 2013.